Mohenjo Daro Box Office Collection 7th / 8th Friday Earning Running Slow :- Unfortunately Hrithik’s most awaited movie MohenJo Daro didn’t did that much earnings from the box office. People have buzz for the movie but they are not coming out to watch this movie in big numbers. Or you can say that the other recent releases like “Rustom” effected the box office collection of MohenJo Daro. Also, the bad reviews from the critics played the bad role for the movie marketing. If I talk about the word of mouth than I can say that it is average. People who loved the movie said that it is good to watch but because of the charm of “Rustom” movie got affected a lot. Media and other Critics are also saying that the Rustom won the box office collection race and that is bad for the MohenJo Daro. Even though movie had good holiday week when lot’s of offices and school colleges are off due to Independence Day and “Raksha Bandhan”. The movie is struggling a lot in box office even when the makers though that the movie going to make good impact. 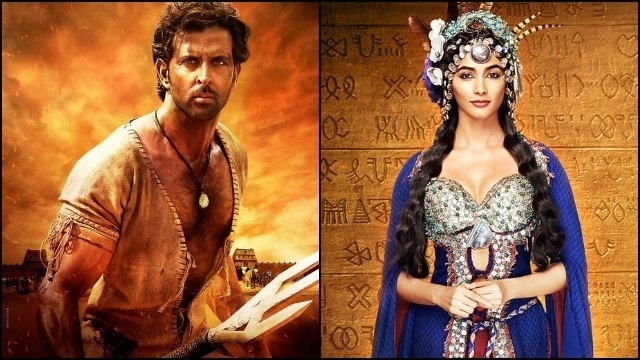 The box office collection of MohenJo Daro is struggling a lot in box office. The movie opened up with the 25% occupancy in very first day of release. Also, MohenJo Daro is running with 20% occupancy in week days. The makers are unsatisfied the box office collection because they expected the good collection from the box office. MohenJo Daro collected 50.10 Crore from the sixth days of release. I am shocked by the reaction of people towards the movie. Most of the metro cities people not attracting towards the movie in good numbers. Even the Hollywood flick “Suicide Squad” is attracting good quality audience towards it. The movie is directed by Ashutosh Gowariker, the movie also stars debutante Pooja Hegde in the lead actress role. I don’t think that the movie going to collect better bucks in upcoming days. But just because of Hrithik MohenJo Daro going to collect respective amount from the box office.